This is Sochi, welcome to the 2014 Russian Grand Prix. Formula 1 is now a truly global sport, traversing the globe in an – almost – never-ending quest to seek out pastures new. Sure the pursuit of cash-rich countries desperately keen to appear modern, forward thinking and oh-so-21st Century has resulted in some bizarre locations hosting Bernie Ecclestone’s travelling circus. I for one, while dreaming during my childhood of being a grand prix photographer, didn’t think I’d be one day shoot racing cars at such as Mokpo, Noida, Singapore or Sakhir! Race venues come and race venues go, some work and some don’t, but let’s be honest, life would be dull – and unsustainable – if our sport didn’t reflect the ever-changing geo-political and financial realities of the world. Having said that, I do sometimes wonder why such as the Korean Grand Prix took place in a remote fishing and ship-building town – ripping up precious marshland, teeming with bird and animal life, to build a mediocre track that appeared to be used for one weekend a year, stage four grands prix, lose the contract and let nature eventually reclaim the land… Call me crazy, but wouldn’t Korea and Formula 1 have been served a whole lot better by holding the race in or near the busy, bustling, young, technology-led, culturally and financially rich city of Seoul? So Sochi – not Moscow or Saint Petersburg – is the venue for the inaugural Russian Grand Prix. Joseph Stalin’s favourite holiday destination has – since the murderous communist dictator’s demise – been feted by many Russian leaders, none more so than by the country’s current president Vladimir Putin. The Black Sea resort town it is, then. For photographers covering a new F1 venue the challenges are obvious. Learn the track and be mindful – of the light, the routes to and from shooting locations, the inexperience of the marshals, the overly zealous security oiks and access to grandstands and atop buildings vantage points. 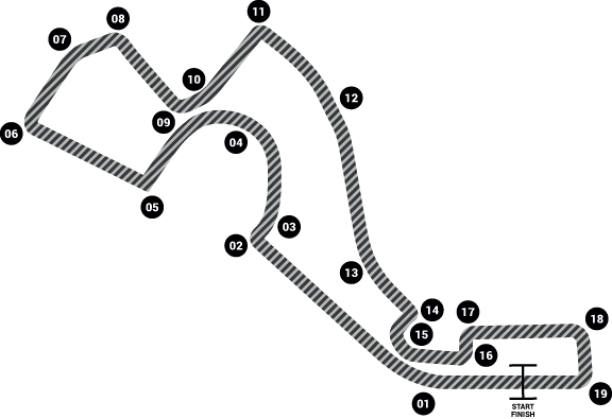 So it was that last Wednesday afternoon – circuit map and pen in hand – I headed out for two laps walking the Sochi Autodrom. Using the outside perimeter road first and strolling in the wrong direction – for that’s the way snappers necessarily shoot! – I observed, crouched, scribbled, guessed as to the direction and fall of the light, walked and walked and walked. Two laps and five hours later, both outside and inside roads completed, I arrived back at my press room desk to take stock and make a plan of attack for the weekend ahead. Argh – the favourite gripe of the lesser spotted F1 photographer! A number of my ‘living in the past’ colleagues still seem to think that race organisers and promoters care that suitable viewing holes are cut in their brand new wire fences, enabling these less imaginative lensmen to shoot the same pictures as each other. Back in the day we didn’t have any high wire fences but this is 2014, so we do – and guess what, cutting holes in them ain’t high on the agenda. It's the same for everybody and – to be honest – the less help given to photographers lacking creative thought, the happier I am. Good photographers – after all – find good places. Unable – as is the norm – to trawl the websites of their more accomplished competitors to examine their efforts of a year ago on the same circuit, many snappers evolve alternative tactics. After the first track session, the photographers’ section of the press room resembles a school classroom at exam time when the teacher has left the room. The aisles and rows become congested with furtive shufflers directing surreptitious glances towards the screens of their rivals. Some don't care who look; some care but do little to discourage the espionage; and some care a lot, employing custom-designed screen-covering anti-snooping hoods, with hotspots on their screens so as to hide their work quickly when the snoopers are on the prowl. I fall 100 per cent into this final category! One is, of course, always aware of where one’s competitors are shooting, listening to their chat and watching out on track, but actively disengaging from independent and original thought – which is effectively what so many do by simply 'copying' those who make a real effort – is puzzling. I guess if they're happy always being one step behind, then that's exactly where they'll stay.